With Yahoo being acquired by Verizon for $4.8 billion it’s the end of a saga about how far from grace the once renowned internet giant Yahoo has fallen. In 2008, Apple officially launched their App Store and introduced us to the world of apps. It transformed the way we interacted with the internet, increasingly accessing tidbits of information through our phone while on the go rather than spending dedicated amounts of time at our desktop surfing the web. This, in itself, was a problem for Yahoo, who relied heavily on its display ad revenue. Decreased time on page meant declines in ad spend. Instead of shifting away from display ads and focusing on transforming its brand from digital to mobile, Yahoo dug in its heels and invested in web video. By the time they realized their misstep, it was 2012 and the gap had severely widened, leaving Yahoo scrambling to play catch-up. Google and Facebook had doubled down on their investment in mobile and their apps had gained immense popularity, generating billions in mobile ad revenue. Yahoo turned to former Google executive Marissa Mayer to put them on the straight and narrow, but the trouble continued. While Mayer agreed that Yahoo needed to invest in mobile, her strategy was clouded. She went on an acquisition spree, hiring mobile engineers and acquiring Flurry, a mobile analytics platform, to develop and improve apps for their wide array of content, from Yahoo Mail to News and Weather. The apps got better, but were still no match for the like of Google and Facebook, and failed to ever crack into The Top 20 on The App Store. In the end, it was too little, too late for Yahoo. While there was a combination of unfocused priorities and poor acquisition choices, the core reason why Yahoo crumbled was an unwillingness and inability to capitalize on mobile. Nintendo, on the other hand, took a very different approach when it came to tackling mobile. They faced a similar fate as Yahoo, sticking to their gaming console roots for far too long and refusing to make the shift towards mobile. When they finally realized that it was do or die, they decided to defer to the experts for help. Rather than tackling the game in-house, they partnered with Niantic, a startup out of Google that specialized in mobile gaming and augmented reality. Nintendo took a backseat in development, allowing Niantic to bring their beloved Pokemon game into the mobile-first reality. The results have been nothing short of amazing, spawning an international phenomenon, and catapulting the company’s market value over 7 billion – even though Nintendo will not directly profit from Pokemon GO, they’ve set the groundwork for a lucrative future. Despite it being mainly Niantic’s project, Nintendo has enjoyed brand awareness unlike anything they’ve seen since the ‘90’s. To capitalize on this, Nintendo announced that they are working on a wearable for the Pokemon GO game that will vibrate whenever you stumble across a Pokemon, eliminating the need for users to be glued to their phones. Not to mention, all of this is coming on the heels of Nintendo’s NX release, their new portable gaming console, contributing to earned media marketers dream of. And this is just the beginning of how Nintendo brand value will benefit from mobile. Further, it is expected that Pokemon GO will be the first of many augmented reality mobile games with beloved Nintendo characters (Mario, anyone?). As opportunities continue to fall at Nintendo’s feet, Yahoo’s well was quickly drying up, forcing them into an acquisition. Two beloved brands from the 20th century face vastly different futures. There’s a lesson here for all brands – you are not immune to platform shifts, notably mobile. Currently, we spend an average of 23 days a year on our phones. In addition, 82% of online-shoppers make purchase decisions on their phone. Further, in 4 short years the mobile-first Gen Z’ers will represent $20 trillion in spending power. …. 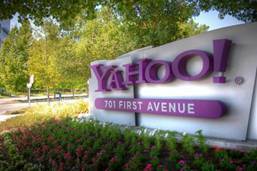 to move your business forward, or risk facing a similar fate as Yahoo.